FMSCI nominates Gaurav Gill for Arjuna Award, the country’s highest civilian honor in the field of sports. The Federation of Motor Sport Clubs of India (FMSCI) has nominated Gaurav Gill for Arjuna Award for the third time. Gill bagged his third title in Asia Pacific Rally Championship (APRC) as well as his fifth crown in the Indian National Rally Championship in 2017. The award was instituted in 1961 and carries a cash prize of Rs 5 lakh, a bronze statue of Arjuna and a scroll. The performance of a sportsperson’s last four years is taken into account by India’s Sports Ministry while selecting the recipients of the award.Gill has won two INRC titles and two APRC titles in the last four years. 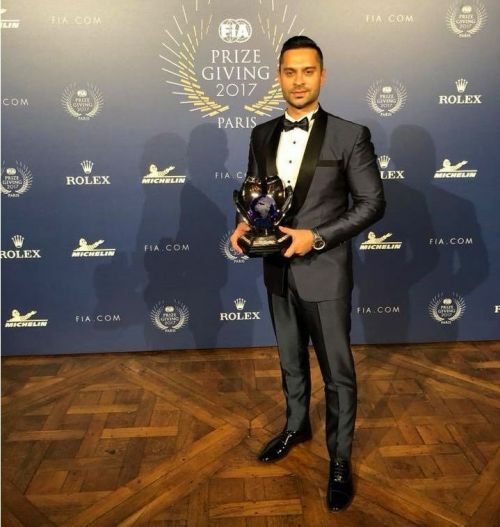 If the Sports Ministry finds his achievements worthy, Gill will become the first Indian from a motorsport background to be given the prestigious award. After competing in APRC and INRC for several years, the 36-year-old is moving to the pinnacle of rally series in the world, the WRC, having signed up for a partial campaign in the World Rally Championship-2 with MRF beginning next month's Portugal round. He is expected to drive a ford fiesta R5 backed by M-sport which also runs the world champion Sebastian Ogier’s car.